With the backing of blue chip clients, key photographers and legions of admirers, today's top tier male models are at the forefront of fashion. The era of the male supermodel is upon us and the movers and shakers of the moment are proving themselves every bit as essential as their female counterparts. 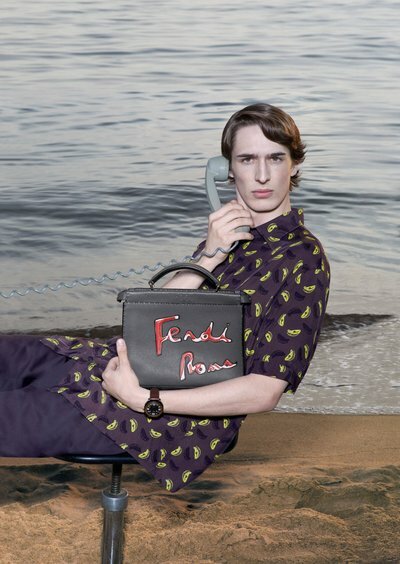 From the daily call sheets of photographers like Steven Meisel, Mario Testino, Mert and Marcus, Bruce Weber and Steven Klein, to ads for megabrands like Prada, Burberry, Calvin Klein and Versace, male models are making their presence felt. The pages of style bibles like Vogue Hommes, AnotherMan, GQ, Details and Fantastic Man are filled with striking faces, but campaigns are still the standard by which all are judged. Finding the perfect balance between edgy editorials and coveted contracts is what makes stars, but holding the interest of major brands over a length of time solidifies careers. In a competitive market flooded with hundreds, the guys who matter are the ones who bring something extra to the table. 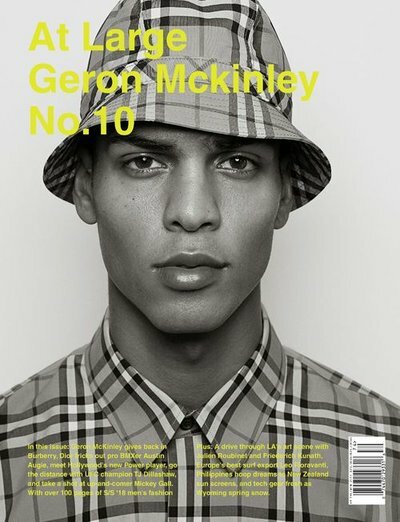 Consequently here are the defining faces of the moment, MODELS.com's Top 50 Working Male Models listing. This young smoldering Italian rocketed onto the scene in 2014 walking for Dolce & Gabbana and Givenchy. His appearance in the Fall Winter Givenchy campaign by Mert and Marcus cemented his presence as a face to watch. With his second Givenchy campaign for S/S 15 and his Versace appearance, Alessio is here to stay! 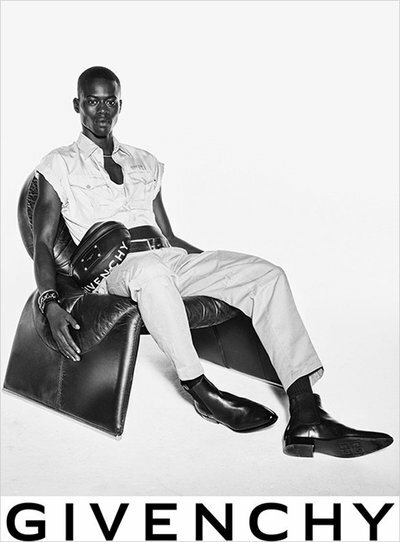 Senegalese by way of Germany, the striking Dia was an early runway favorite since his start in 2016, earning himself a spot on our list of 2017’s breakout show faces. Last year also saw him on the cover of Document and in CR Fashion Book and Vogue Italia and campaigns for Prada and Versace. An appearance in Tim Walker’s all-black Pirelli calendar for 2018 and a turn in Bottega Veneta's campaign cemented him as a star in the industry. With his signature moves and afro, this energetic American makes his leap from dancer to model with three campaigns for Fall 2017, including Glen Luchford's Prefall Gucci shots. He followed up his major runway success as well as appearances in Wonderland, W, American Vogue, i-D, Document Journal, and WSJ with 2018 ads for brands as varied as Hugo Boss, Off-White, Gap, Nike, and Chanel, proving his broad appeal. It was perhaps inevitable that the younger brother of Gigi and Bella would join the family business, and with his over two million followers on Instagram, it’s no surprise that the clients have been lining up to work with him. 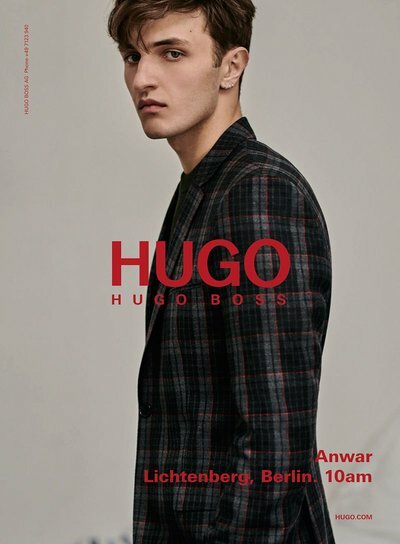 Early features in Teen Vogue, Nylon, Paper, and Vogue Homes led to Tommy Hilfiger and Hugo Boss campaigns last year and makes his mark this season with ads for Tod’s and Boss again. 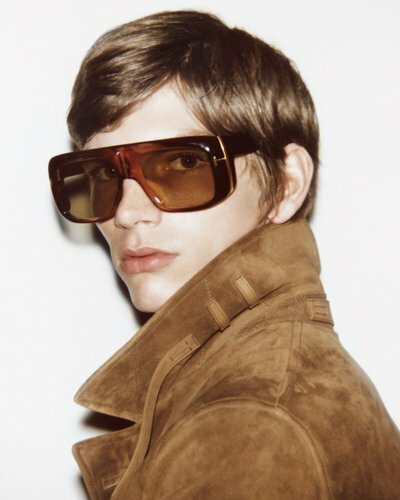 A longtime favorite of Willy Vanderperre’s, this elegant German has fronted campaigns for Lanvin, Just Cavalli, and Topman in his few years in the industry. A slew of major editorials, for everything from Vogue Italia by Steven Meisel to Vogue Hommes and i-D by Vanderperre—plus a spot on our list of breakout show guys for 2016—proves his lasting appeal. With a recent appearance Interview, in works with Gucci and in APC’s new denim campaign, his career shows no signs of slowing. 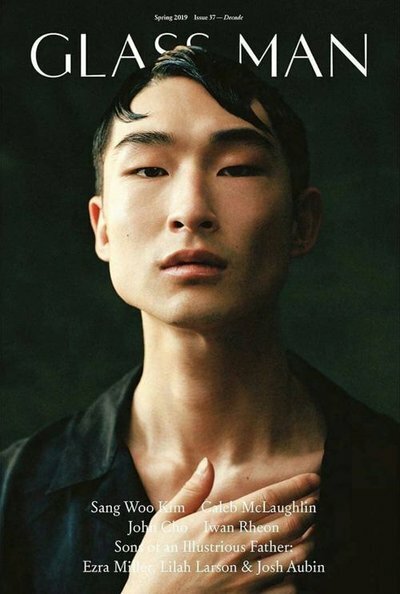 Long an editorial favorite in everything from Vogue Hommes International and Love Magazine to 10 Men, Wonderland, and Vogue Italia, this cheeky young Scot is instantly identifiable thanks to his oversized ears and toothy grin. He hit his advertising stride last year in Collier Schorr’s Fall 2017 G-Star campaign, and appears in DSquared’s latest by Mert & Marcus. A longtime favorite of Willy Vanderperre’s, this fresh-faced Belgian opened Prada as an exclusive last June and has been lensed by him for Vogue Italia, Document Journal, Another Magazine, and Interview since. 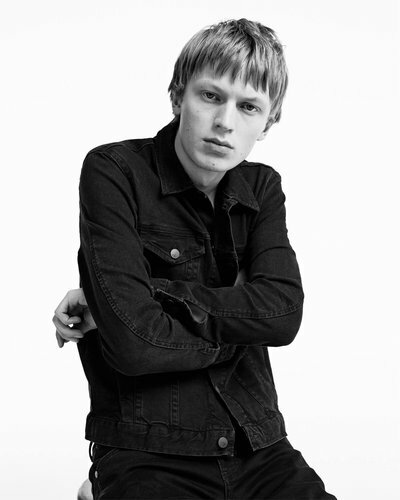 He makes his campaign début in Prada this spring and also walked for Raf Simons and Calvin Klein earlier this year. This ruggedly masculine Slovakian was an early favorite of Kim Jones’s, closing Louis Vuitton’s Fall 2015 show as an exclusive in his very first season before appearing in the house’s men’s campaign by Alasdair McLellan later that year. He’s featuring in Vogue Hommes International, Another Man, and British GQ since then, along with Bally’s colorful Spring 2017 ads. 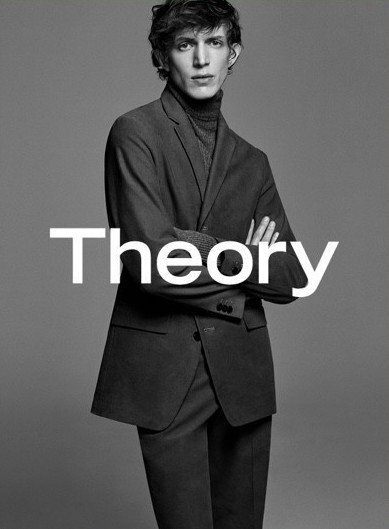 This Spring sees him suited up for Cerruti and Zara by Willy Vanderperre. This native New Yorker is something of an insider’s secret, with select jobs for Prada, Louis Vuitton, Vogue Hommes International, and Hercules. The tattooed mixed-media artist, already a veteran of several solo shows in New York, appears on the cover of Vogue Italia for July as well, all cleaned-up for Steven Meisel’s lens. This sharp-cheeked Californian has been a runway staple since breaking through as a Prada exclusive for Spring 2017. 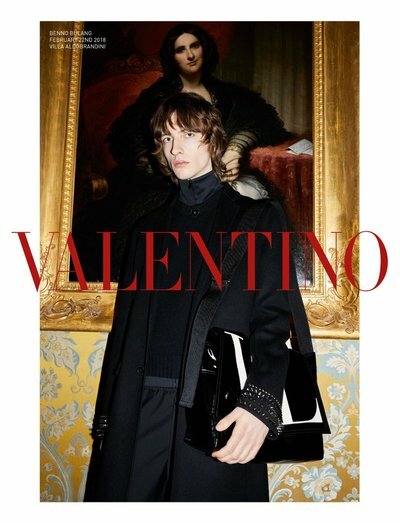 Key appearances in Vogue Italia by Steven Meisel and W by Collier Schorr followed, and he has gone been on a campaign streak for the last three seasons, first popping up in Willy Vanderperre’s Spring 2017 shots for Prada, then David Bailey’s for Valentino, and now Fendi’s daydreamy Spring 2018 ads by Ethan James Green. 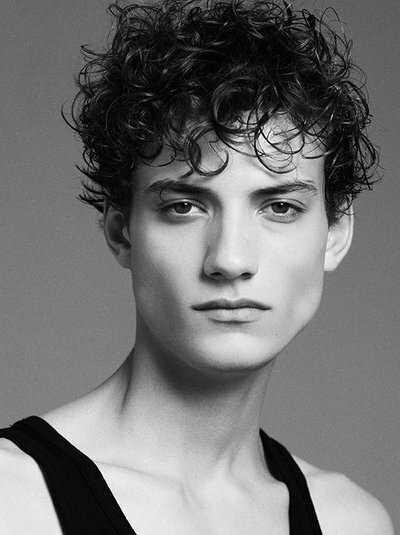 Part of the new wave of Dutch models, this curly-haired star has been a runway favorite since making his debut as a Prada exclusive during the Spring 2015 show. In the years since, he has popped up in Another Man, VMan, 10 Men, and Vogue Italia, along with all the key fashion shows. Roberto Cavalli, Tom Ford, Coach, Zara and Moschino booked him to front their campaigns/lookbooks with Calvin Klein, Boss, and Hermes choosing Erik for their shows show he is very much still in demand. 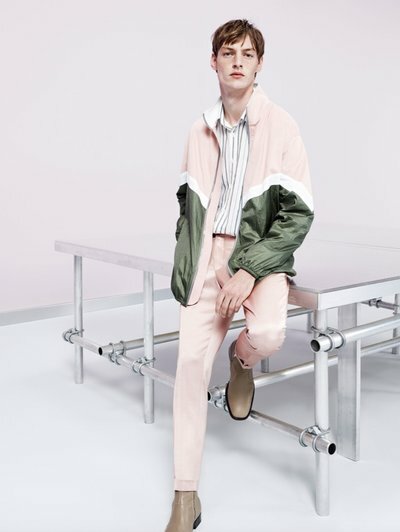 Long a favorite of Europe’s big brands like Prada, Louis Vuitton, Jil Sander, Dior Homme, and Valentino, this French industrial design student made the leap to America in a big way this year, showing up on all the top New York runways and in Details. His first campaign, for Iceberg this Fall, marks another big step forward. 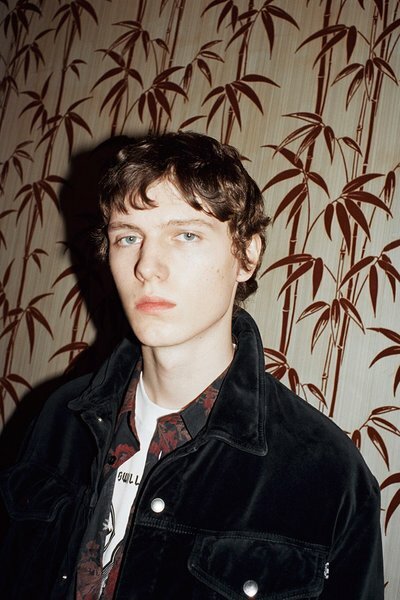 One of our breakout show boys of 2015, this young Brit proves his crossover appeal, appearing on top runways and in campaigns for Prada, Lanvin, Versus and Lanvin.. 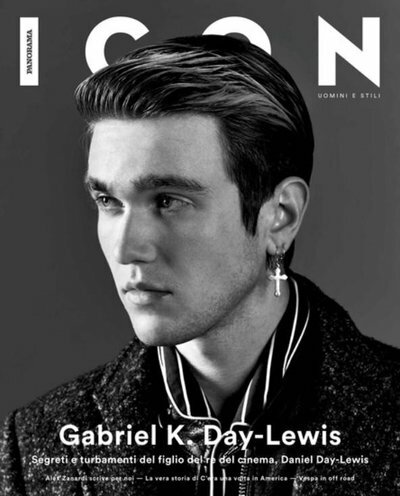 Son of actors Daniel Day-Lewis and Isabelle Adjani, this young musician proves to be bigger than just a famous last name, with an appearance at Chanel’s Fall couture show, in a David Sims’s campaign for Calvin Klein Platinum and his latest, the Dolce Gabbana S/S 2017 campaign. Compton-born and -raised, this ruggedly handsome California boy has been around since a shoot with Collier Schorr for Fantastic Man back in 2013, and a slew of campaigns in 2017 brought him to a new level of exposure, from Versace, Aldo, and Fenty for Spring to Gap and Philipp Plein for Fall. 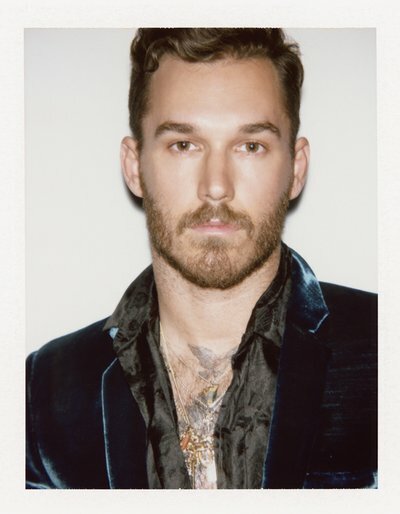 With innumerable catwalk appearances and shoots for HERO, Vogue Italia, Numero Homme, and T, alongside repeat placement with several big-name clients, his career shows no sign of stopping. 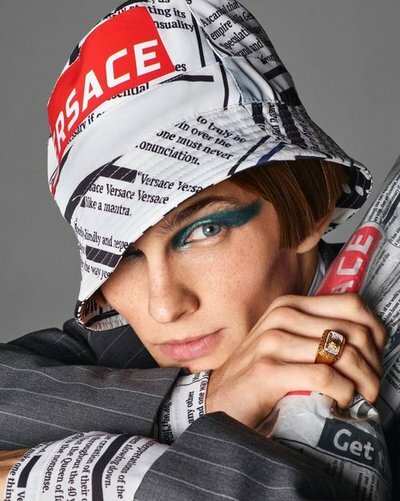 A popular runway pick since 2013, this edgy British art student has hit his stride with campaigns since last year, starting a run with Versus Versace by Collier Schorr for Spring 2016. Repeat appearances for Vivienne Westwood bookend his Spring 2017 Burberry campaign by Josh Olins this year, and his editorial prowess continues with shoots for Dazed, HERO, 10 Men, and ODDA. Fall 2018 proves to be a big winner with brands as varied as Pringle, Givenchy and Isabel Marant. An industry veteran since making his runway debut in 2013 at Prada, this sharp-featured Chinese has worked steadily for years, from walking for Bottega Veneta, Louis Vuitton, Hermès, Gucci, Jil Sander, and Burberry to a run of notable editorials in nearly every Chinese fashion magazine. 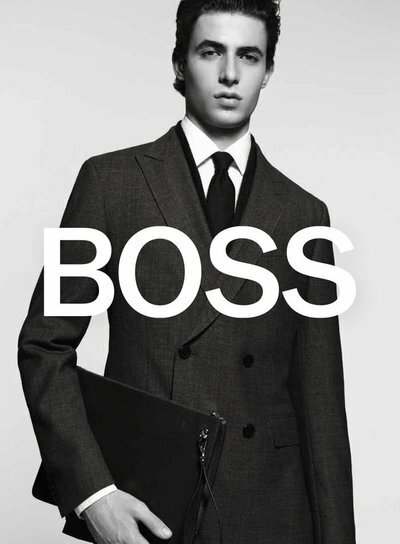 This past spring marked his campaign debut for Dolce & Gabbana, which he has followed up with ads for Tod’s and Boss by David Sims. 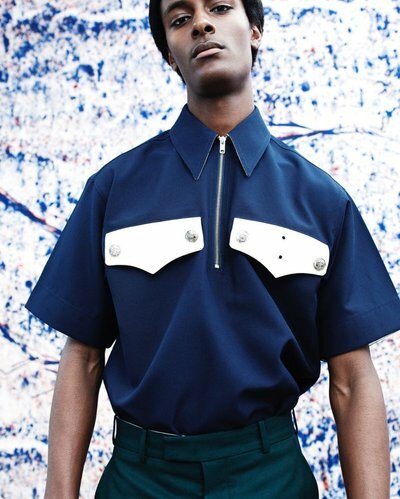 Since his start in the summer of 2013, this edgy German has shown up on key runways like Dior Homme, Valentino, Raf Simons, and Prada, even closing the latest show in January. Willy Vanderperre shot him for Another Magazine last year, and brings him back for spring to front the Jil Sander campaign and for pre fall 2016, the Prada campaign. Talk about inevitable. A hefty social media following, a compelling intensity and some major work (both editorial and commercial) has combined to make the force of nature that's Mr Barrett, one of the hottest male models of the moment. We expect even more to come from the charismatic Aussie. 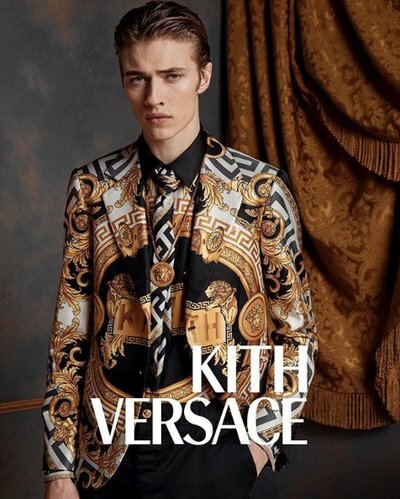 A favorite of Milan’s biggest brands like Versace, Calvin Klein, and Dolce & Gabbana since his start last year, the Austrian judo champion also logged spots in Mert & Marcus’ fall 2015 ads for DSquared2 and Milan Vukmirovic's for Port 1961, Calvin Klein Underwear for Spring 2016 and the Giorgio Armani campaign for Fall 2016. 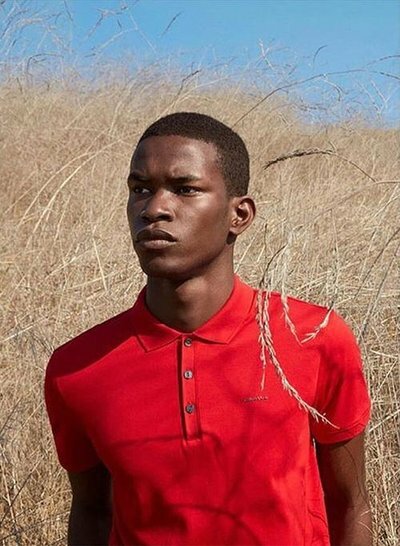 Three Calvin Klein campaigns in a row last year were a stellar start for this Atlantan, who also landed the Theory ads by Oliver Hadlee Pearch and a Zara lookbook earlier this year. This Fall finds him covering 10 Men by Benjamin Lennox and off to a stellar runway season with Ferragamo, Monse, Prabal Gurung, and Matthew Adams Dolan on his list. 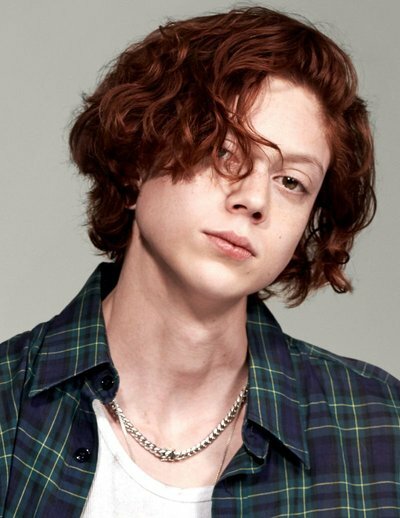 A breakout face of 2015 after opening Coach’s first men’s show under Stuart Vevers last January as his first job, this fresh-faced Brit has since popped up in Wonderland, Vogue Italia, Hercules, Client, At Large, and Made in Brazil. He marks his first major campaigns this year, with DSquared by Mert & Marcus in the Spring and Emporio Armani by Lachlan Bailey for Fall. 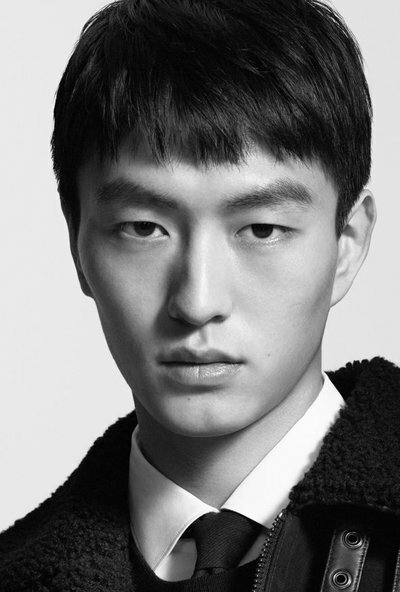 One of the clear breakouts of the young year, this classically handsome Japanese had a stellar début season last summer, closing Prada and walking for Louis Vuitton, Calvin Klein, Balenciaga, Bottega Veneta, and Valentino as well. His runway streak has continued so far this year as he has added campaigns by Willy Vanderperre for Prada, Steven Meisel for Coach, and Lachlan Bailey for Calvin Klein alongside. A longtime Louis Vuitton favorite (he has walked for the brand all four of his seasons in the industry and counting), this freckled Frenchman hits the campaign jackpot this year with repeat appearances in Louis Vuitton's Spring and French ads as well as both seasons for Calvin Klein, marking him as a favorite on both sides of the Atlantic. Sometimes in modeling, it’s less about the quantity than it is about the quality, and it’s hard to beat the track record of this Belgian, who is now fronting his 4th campaign in a row for Raf Simons this Spring. 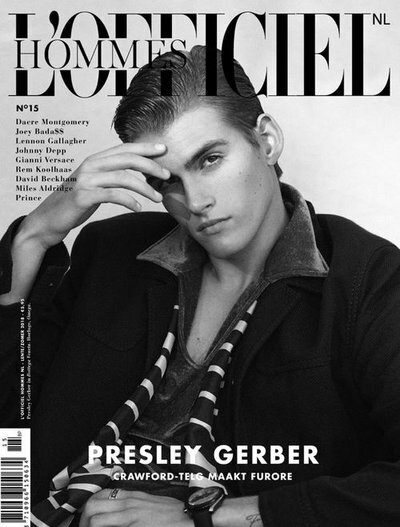 He teams up again with Willy Vanderperre, who has also shot him for Vogue Hommes International and Fantastic Man. 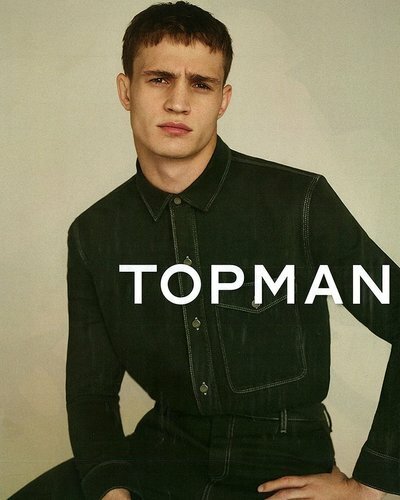 This social-media star with glacial blue eyes and shock of platinum hair was met with near instantaneous success, his idol allure and crossover appeal was immediately tapped for campaigns for CK One, Tommy Hilfiger and H&M. Fall 2015 continues his mounting dominance in campaigns with Annie Leibovitz, Mario Sorrenti and Steven Klein. Heralded by WSJ as a “star on the rise” he definitely has all the makings of one. This wavy-haired Pole has been a runway favorite ever since his début opening Prada’s Spring 2016 show as an exclusive a few years ago. 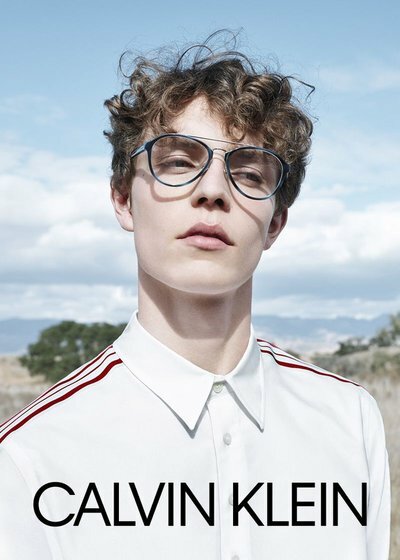 Key editorials in Wonderland, Another Man, Hercules, and ODDA came soon after, and he follows up a Topman lookbook and Bally’s Fall 2016 campaign with Willy Vanderperre’s Zara ads from last Fall. Only the lucky few have the ability to forge a career path as a true fixture. Nathan has done it and blazed a trail along the way: formerly known as Natalie, he is the instantly recognizable crimson-haired face of numerous coveted campaigns. By announcing his transition in 2019 Westling is proving uncompromising identity is the future of fashion. A former ballet dancer and fashion design student, this sharp Swiss broke out in a big way opening Louis Vuitton’s Fall 2017 show as an exclusive. 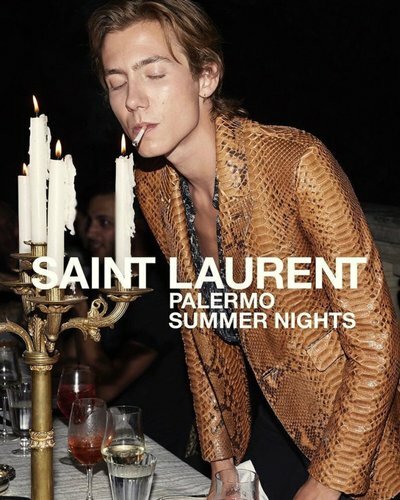 He quickly made the leap to campaigns with the French house’s Fall 2017 ads by Steven Meisel, who also shot him for Vogue Italia as well as the Louis Vuitton and Versace campaigns. 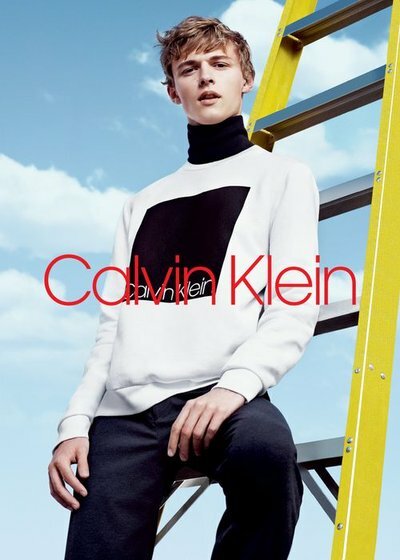 Calvin Klein campaigns and an Iceberg fragrance cement his top status. 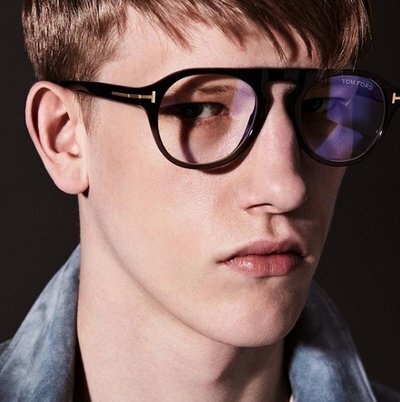 One of our breakout show guys of 2017, this young Dane was barely off the runway as a Prada exclusive at the Fall 2017 show before his campaign for the Italian brand shot by Willy Vanderperre made its mark. Quality wins out over quantity as a few important editorials have brought him to Steven Meisel’s latest campaign for Louis Vuitton. Discovered outside a Justin Bieber concert, this Spaniard landed a spot on our list of 2016’s runway breakouts by walking for everyone from Prada and Louis Vuitton to Dior Homme and JW Anderson, opening and closing Valentino’s Spring 2017 show along the way. Willy Vanderperre shot him for Document and his appearances in Hercules, Numéro Homme, and The Last Magazine were capped by Steven Meisel’s shots for Coach’s Fall 2017 campaign. 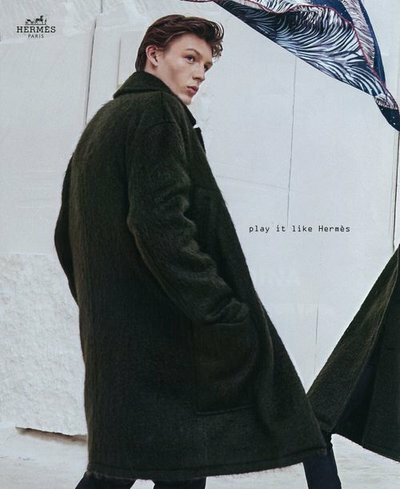 This year has seen him in ads by Meisel again for Loewe and Versace and Hugo Boss by David Sims. Our 2017 Model of the Year: Men winner, this androgynous Parisian is the artsy favorite for Prada, Balenciaga, and Vetements and has notched a strong run of editorials by the likes of Collier Schorr, Paolo Roversi, Willy Vanderperre, and Steven Meisel. His debut campaign for Sacai by Craig McDean in Spring 2017 kicked off a strong year that continued with three appearances in Vogue Italia and the HUGO campaign for Fall by Harley Weir. 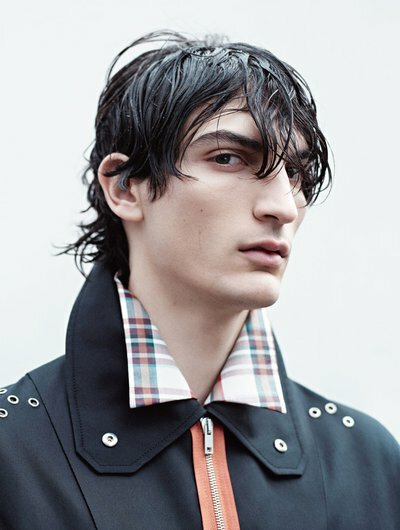 Prada’s opener last summer, this young Spaniard with the standout afro has been an editorial favorite ever since, lensed by Josh Olins for the Spring Balenciaga campaign. His strong streak of runway appearances has been nonstop, and he was shot by Mario Sorrenti for the latest Calvin Klein Jeans ads. There’s no denying this young Angeleno has great genes. The son of the iconic Cindy Crawford, this all-American teen made his campaign debut in 2016 as part of Calvin Klein’s #mycalvins series and has repeated in the label’s Calvin Klein Jeans campaigns by Willy Vanderperre twice this year. Following a spot in Balmain’s Fall 2017 ads, he lands his first fragrance campaign this season for Yves Saint Laurent Black Opium. After over five years as an industry stalwart, this freckled Romanian has hit his stride of late with a string of campaigns for Zara by Willy Vanderperre and Dan Jackson. 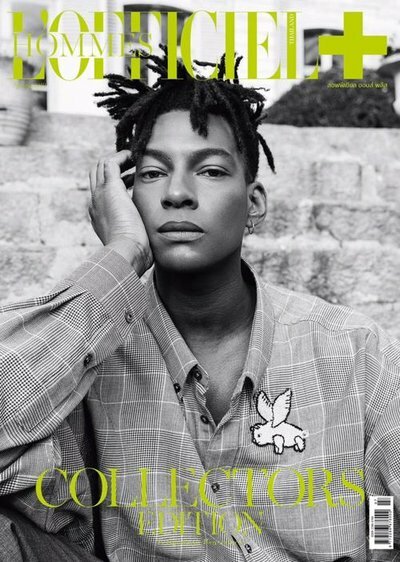 He continues to be a runway favorite as well, and can count shoots for i-D, Hercules, Vogue Italia by Steven Meisel, and Interview by Fabien Baron among his accomplishments. With his sharp features and toned body, it’s not hard to understand why this Colombian was quickly snapped up for a Calvin Klein Underwear campaign by Willy Vanderperre last summer. He repeats for the label again this spring in the brand's White Label ads along with Tom Ford’s shots for his fragrance Eau de Soleil Blanc by Steven Klein. 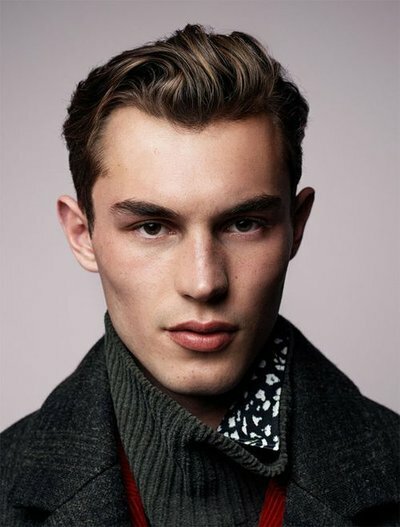 A Model of the Week from this past January, this one-of-a-kind Brit has come a long way since modeling for his Central St. Martins classmates. Appearances on the Burberry Prorsum and Kenzo Fall 2014 runways led to a Stone Island campaign, and a stellar Spring 2015 show season—including Dolce & Gabbana, Dries Van Noten, and DKNY—that earned him a spot in our Future Faces feature this summer. An appearance this season in the energetic Hunter campaign keeps the momentum going for this fine-art major. One of our favorite runway breakouts of 2015, this curly-haired Austrian has been a catwalk must-have ever since. He’s popped up in Wonderland, Numero Homme, Fashion For Men, and The Last Magazine during the ensuing years, along with campaigns for Valentino by David Bailey and Zegna by Inez & Vinoodh. 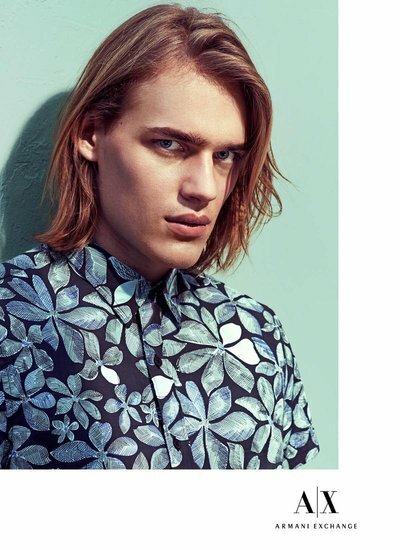 He cleaned up with blue-chip brands last Fall with ads for Zara by Willy Vanderperre and Club Monaco. A Top Newcomer on the strength of his opening and closing slot at Prada, this young German has been a common sight on the runway every since. He started off his stellar career with campaigns for Dior Homme by Willy Vanderperre and Calvin Klein’s Platinum label by Mert and Marcus, Hugo Boss HUGO by Pierre Debusschere. 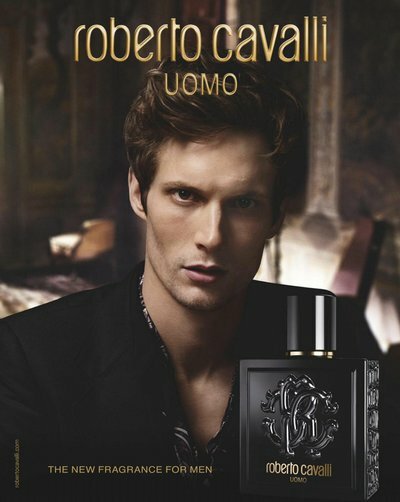 His continuing Prada Fragrance campaign shows he's a long distance runner. A decade ago, Ty made a big splash with his first campaign appearing in DKNY S/S 09. Flash forward 10 years and the young Brit is doing better than ever appearing for clients as wide ranging as Missoni, Topman, Liberty and Gap. Fashion loves a comeback kid and so do we. This Frenchman’s classic Gallic looks have been a hit with the luxury clients since his début at Berluti in 2013, with Prada and Dries Van Noten taking advantage of his elegant appeal as well. 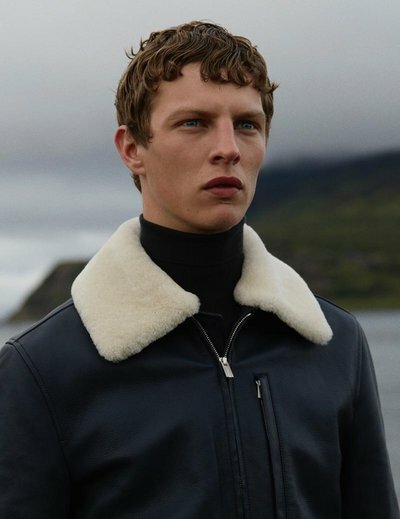 After appearing in Gucci’s Fall 2014 campaign by Mert & Marcus, he has popped up in lookbooks for Bally, COS, Alexander McQueen, and Acne this year, as well as the latest Hermes and Sandro ads. 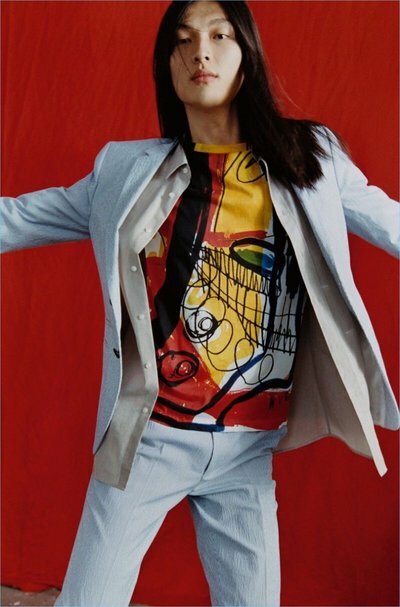 A former dancer, this longhaired and androgynous native of China had a strong run of editorials last year, including W Magazine by Steven Meisel, Vogue by Gregory Harris, Dazed by Ethan James Green, Teen Vogue by Daniel Jackson, and HERO. 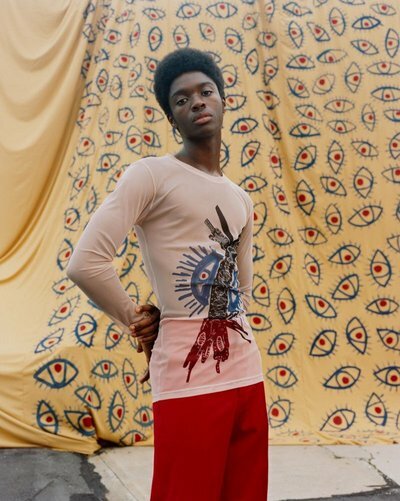 His move into top campaigns including H&M and Hugo by Harley Weir this season marks him as one to watch.